Attorney Ken McClain has nothing to live for. Nine years after the accident that claimed the life of his wife and two sons, he's finally given up. Alone in his empty house, it seems suicide is his only escape. Now the question of death by pills or by bullet? Then suddenly the phone rings, and it turns out to be a case he can't refuse. A case for the life of accused killer Peter Thomason, and a case for his own soul. 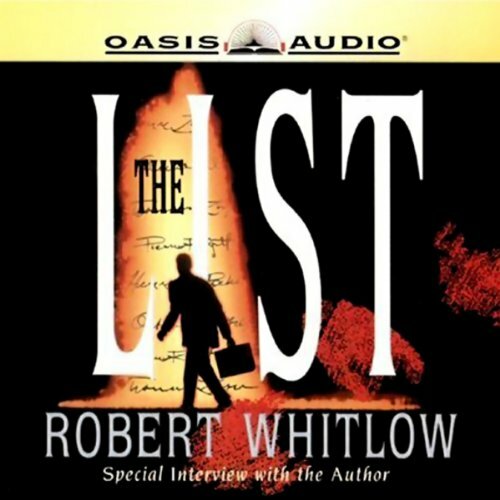 Robert Whitlow is a practicing lawyer acclaimed for his legal thrillers. 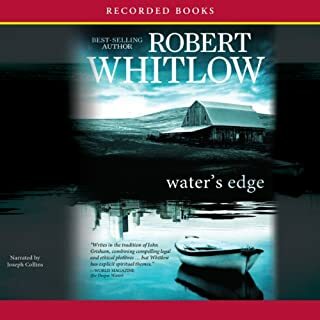 In Water’s Edge, hot-shot Atlanta attorney Tom Crane is poised to become a partner in his firm when his father dies in a boating accident. Then on that same day, he loses his job and his girlfriend, as well. Returning to his hometown to close out his father’s smalltown legal practice, he uncovers a hidden stash of two million dollars. Soon he finds himself entangled in a web of intrigue and murder that endangers his life - and drives him to his knees. 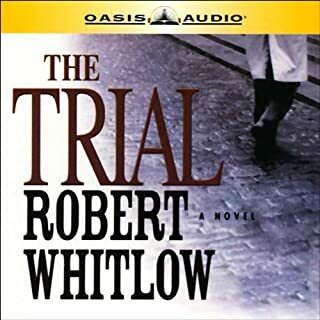 Christy Award winner Robert Whitlow’s legal thrillers draw favorable comparisons to the works of best-selling author John Grisham. Here, Tammy Taylor, a young law student working for a firm in Savannah, becomes immersed in a deadly conspiracy. After Tammy learns dark secrets about her client, her continuing investigation uncovers sinister truths about her superiors as well. A tragic accident in the Carolina mountains leaves a young man paralyzed and in a coma. Soon a fierce legal battle erupts between the man's wife who wants to terminate life support and the young man's father who wants to keep his son alive at all costs. In Holt Douglas' line of work, there's nothing sweeter than a confession of guilt. Assistant D.A. Holt Douglas makes his living exposing lies and sending criminals to jail in Ashley County, Georgia. His job is always easier when defendants, instead of remaining silent, blame someone else or try to excuse their actions. With a confession in his hand, Holt knows a guilty plea will soon follow. But lurking in Holt's past is a dark secret that could end his successful career and possibly his relationship with Angelina, his hoped-for fiancé. Mr. Whitlow, please change your narrator! High-powered attorney Olivia Murray faces the biggest test of her career when she is assigned to represent Astral Tech, a New Age tech company, in a lawsuit filed by its biggest competitor. 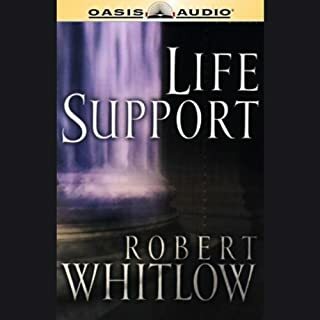 While Olivia is accustomed to hard fights in the courtroom, she arrives in Windy Ridge and discovers there is much more to this case than the legal claims - forces of darkness are at work. Windy Ridge quickly turns from quiet Chicago suburb to spiritual battleground, and Olivia must rely on her faith to defend against legal and spiritual attacks. Attorney Scott Ellis is defending Lester Garrison, a 16-year-old accused of opening fire one Sunday afternoon on a gathering of high-school students. While fighting for Lester's freedom, Scott volunteers at Catawba High School and stumbles onto a tangible evil that is fueling a rage-filled hate to its breaking point. Corbin, a longtime legal champion for the downtrodden, is slowly drinking himself into the grave. His love for "mountain water" has cost him his marriage to the godliest woman he knows, ruined his relationship with his daughter, Roxy, and reduced the business at his small Georgia law firm to a level where he can barely keep the bill collectors at bay. But it isn't until his son, Ray, threatens to limit Corbin's time with his grandson that Corbin begins to acknowledge he might have a problem. Even as a pregnant, unwed teen in 1974, Sandy Lincoln wanted to do the right thing. But when an ageless woman approached her in a convenience store with a mysterious prophecy and a warning, doing the right thing became even more unclear. She made the best choice she could... and has lived with the consequences. More than 30 years later, a pregnant teen has come into her life, and Sandy’s long-ago decision has come back to haunt her. The stakes rise quickly, leaving Sandy with split seconds to choose once more. But will her choice decision bring life... or death? For years, Amy has traveled to a holy place in her dreams - a sublime place she calls the Living Room. When she awakes, her faith and energy are supernaturally restored. And when she dreams, she receives vibrant inspiration for her novels. As she begins to write her third book, the nature of her dreams shifts. Gone are the literary signposts. Instead, her dreams are studded with scenes that foreshadow real life. Before long, the scenes begin to spill over into her waking hours too. As a struggling young attorney fresh out of law school, Renny Jacobson was pining for the day he could afford the fast cars and sprawling homes of the partners in his Charlotte firm. And with news of his father's death and an ancient, secret inheritance, Renny's life was sure to change forever. But the inheritance and membership in the clandestine society which provided it soon threatens to change him in more ways than one. Renny's life, and the life of the woman he loves, depends on supernatural deliverance from the curse of The List. This book starts out a little slow. It does a great job of introducing the characters and setting the scene. The book then derails your comfort zone and has you starting to urge the characters to win or fight or go. Then you realize that you are talking to your cd player and just listen more intently. This book reminded me that I constantly try to enter into great battles alone. I constantly find myself fighting with those that I love instead getting on my knees and equipping a victory. 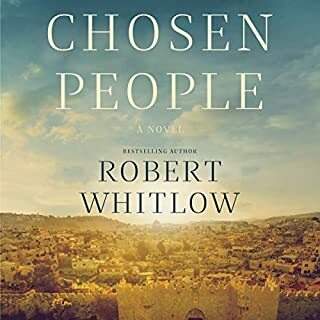 Robert Whitlow is a great Christian writer. I always enjoy his books & feel inspired after listening. I've listen to all of his unabridged books on Audible & now I'm going through the abridged titles. I just wish that they all were unabridged because I enjoy his work so much. 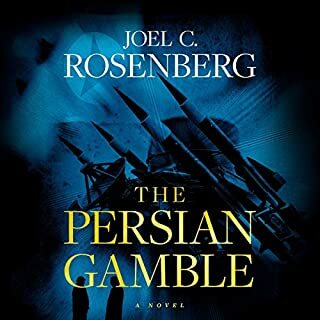 This isn't the author's fault, but many suggested this as a legal thriller in the vein of John Grisham. It's not. The main character is a lawyer but there's not much law or thrill in this one. The writing is decent and plot interesting. Just OK.
found the narrator hard to listen to at times. all the characters voices sounded the same. was sometimes hard to know who was speaking. What a good Christian writer! 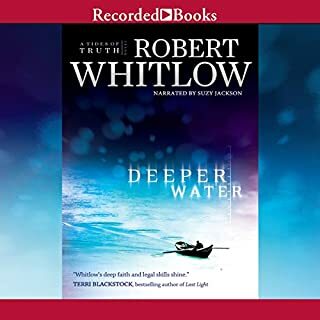 I love Robert Whitlow's books. I hope he's writing more, because in a minute, I'm not going to have anymore of his to listen to; I'm just praying there's another author who writes along the same lines. Mr. Whitlow's books are more than a story, they are a lesson in life and the goodness and grace of God. The author's story line was excellent, but he seemed to lose altitude at about the 75% point in the book. The story line drug a bit toward the end of the book. Still a good read, but not Whitlow's best work. I expected a run of the mill law thriller but instead got a poorly veiled religious diatribe. I could barely finish this audiobook. The sermonizing definately distracted from the story. AVOID THIS BOOK!! The spoon-fed religious dogma espoused by the characters over-powers the original story line. Instead of a story, you get a sense of desperate proselytising by a non-inclusive sect. The character development is poor and lacks continuity, and the dialogue is more reminiscent of dime-store romance novels. Finally, the plot drags on while characters talk about "more important" issues, such as casting aspersions on people of more mainstream faiths. The daily edition of the morning newspaper provides more inspiration than this novel. I feel cheated on this one - and after 6 years of membership the first purchase that ever made me mad. In short, this is a Christian apologist, full of long dialogues and inner monologues trying to convince the protagonist that Jesus is the answer, and God solves problems through miracles. If you're into the LaHaye novels and other books on Christian dogma, then you'll like this book. But at the least, tell us up front what we're buying, and don't couch Christian exposition in the guise of a novel.